Last month, my family and I nipped up the M4 (and the rest) to Newport, Pembrokeshire for a few days of relaxation and family-time. The four hour drive was, admittedly, fairly tedious but once we arrived we knew it was worth it. On the way back we stopped in at Cardiff - we went to Uni there so was great to go back - which makes a great mid-way stop off. On a side note, how amazing has Cardiff become? We were blown away! It was probably for the best that St David's wasn't there when I was living in Cardiff! 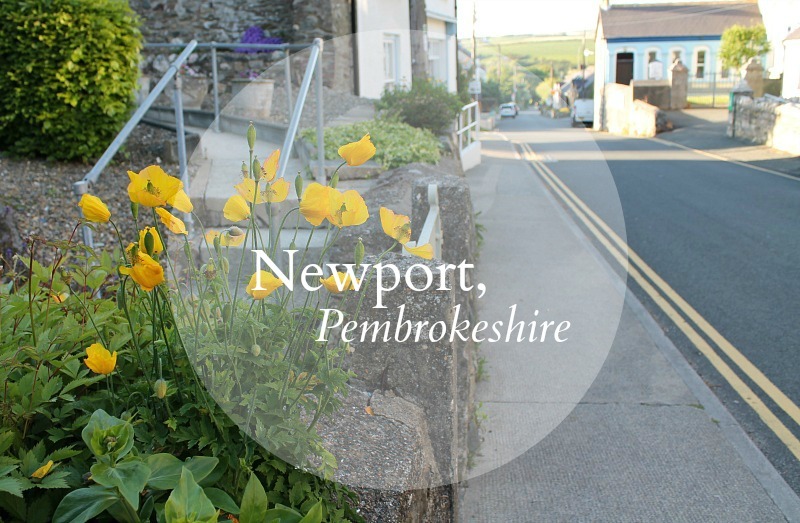 Newport itself is a gorgeous little seaside town situated in the heart of the Pembrokeshire coastline. It's by no means big - think a few independent coffee shops, a handful of good pubs and a couple of little seaside nic-nac shops. It even has its own Norman castle tucked away (sorry, standing proudly) at the top of the town. The countryside surrounding is absolutely gorgeous; some great coastal walks and a beautiful sandy beach, it's just dreamy. We were lucky enough to have one really hot day and several days of patchy sun, which really showed Newport in it's best light. Best place to eat? We loved The Canteen for great pizza and super friendly staff. Whilst we were there we made a little day trip to St Davids which was about a forty minute drive away. We visited the cathedral and mooched around the town before doing what we do best - finding a nice pub and getting lunch! This year is the first year for a while where we've not booked a summer holiday abroad, which fills me with terror and sadness. We've been on some pretty incredible breaks over the past few years so this summer will be an odd one. Call me a diva, I don't care, I just need some sun! This break couldn't have come at a better time and really allowed us all to get some proper R&R - even with my two little nephews zooming round the place! Are you going on a UK break this summer? I've never been to Newport but I have been to Cardiff to see my gal Charli! Yes St Davids shopping is awesome!